The best tool to find foreign equivalents of world non-ferrous metals. WinAlloy database provides information on 50 000 non ferrous and alloy grades referenced worldwide. 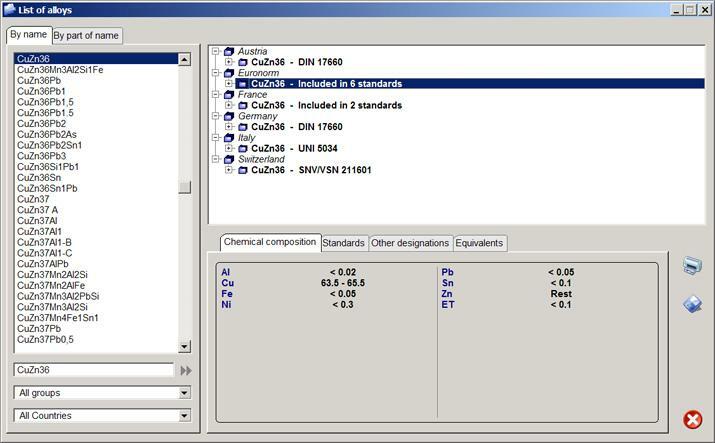 You will find detailed information on every steel grade (chemical composition, standards which cover the grade, equivalents). You select a grade typing its designation character-by-character in the locator field under the left list-box of grades. 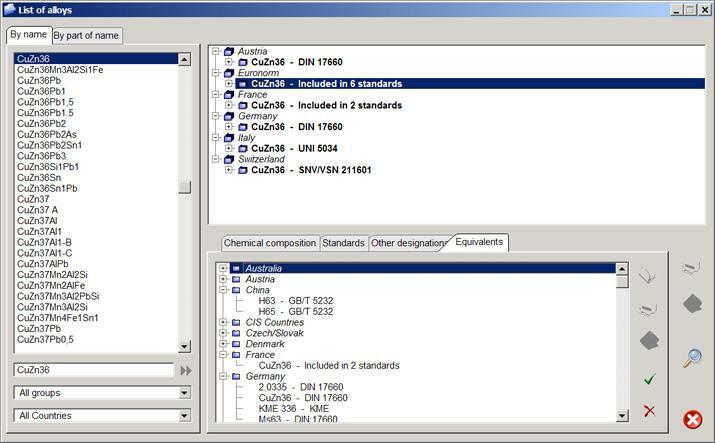 You select a grade you need in the right list-box, which shows all grades of the selected designation with references to countries and standards. At that information on the highlighted grade is displayed in the right bottom part. You click the Equivalents tab to find a list of world equivalents of the grade you need. 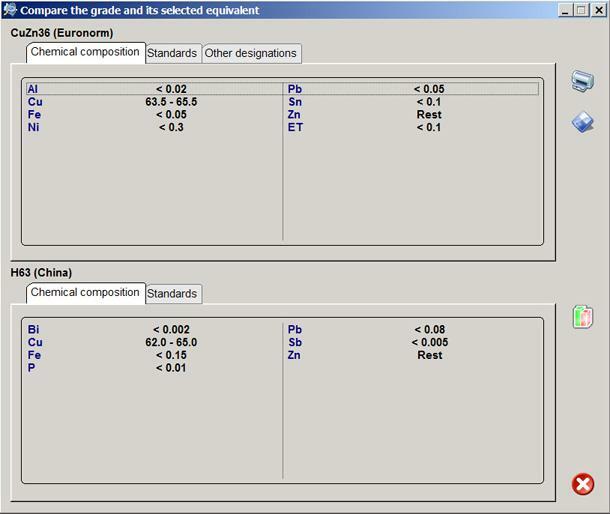 At that you can compare the sample grade and its selected equivalent both in table and graphic form. WinAlloy is proposed on a 12 or 24 month subscription basis. The subscription is automatically renewed for the same duration. Subscribers must send a fax or an email to Simdex Publishing at least one month before the end of the subscription period to terminate the subscription.